← Cluttered house- Can we fix it? Creating Order- Yes we can! Starting big, working my way down. What do I need to do to create order that will bring peace to my heart? Various things came to mind, so I have broken them down into themes for each week day. Monday: What’s in the week? I find I need Monday, to revover from the weekend.I try and keep the weekend low keyed and family orientated, to such an extent I do nominal housekeeping tasks, and I try not to ask too much of the kids. Generally speaking then, the house is usually a tip, come Monday morning. So I’m keeping this on my list, using it as an opportunity to consolidate on routines I try to do, so the house almost runs itself! I volunteer at the school allotment and Tuesday afternoons is when we meet at the plot. I also run 1st Tokyo Cub and Beaver pack. I use my Tuesday mornings to tackle the planning, preparation and and if I have time, some of the course work I need to do to achieve my wood badge. (Yip- more paperwork/admin!!) As my Tuesdays are already quite full, I am limiting them to tasks that are on my To Do List and hopefully won’t take too long. OK- Maybe they will take longer than I’d like them to be… Ho Hum! My children have after school clubs on a Wednesday, which means that I drop them off at 8:15 and only see them again from 4:30. Effectively, this means that I have from 9am-4pm to get a LOT done. So, I am going to allocate my next 4 Wednesdays to tackling the Biggies, starting with my nemesis. Week Four: Organising our home office. I am trying to focus on my health at the moment. I don’t know how much of my depression, plantar fasciitus or back pain is diet related. Since moving to Tokyo, I have gained 10kg, that much weight isn’t going to help any foot/ back pain, or self confidence issues which then can impact the mood. I am currently trying to reduce my calorific intake, but I want to make lifestyle changes too. I want to get off the yoyo dieting bandwagon and model to my girls the importance of healthy eating and exercise. Friday: Ready for the weekend. This is a bit like Monday. If we are going away for the weekend, I try and use the Friday to get organised, have the house tidy, laundry all up to date etc. It is also a good time for me to get the car sorted. ‘A’ hates sharing a car with me, as most often it is a mobile garbage truck. I have been trying to improve (and am getting there- Hooray), and would like to start giving the car a fortnightly hoover and monthly wash. Besides, needing to catch up from the weekend on a Monday, I also like to spend some time planning for the week ahead. This helps me feel like I have more control over my life. My main focus at the moment is my health and diet, so I am kicking off the challenge with meal planning. I am trying to cut gluten out of my diet to see whether it effects my depression and mood. My biggest challenge with no gluten are the breakfasts as I LOVE my cereals! I have found that eggs for breakfast do keep me fuller for longer, but there are limits as to how many mornings I can enjoy boiled eggs for breakfast. Lunches can be an issue too, as I get a bit bored of salads, so I would like to come up with some more ideas. I also need to make lunches for the children every day, and they are also very hungry when they return from school, so planning a healthy snack for them would be a good idea too. Weekend meals is another where I fall off the healthy eating wagon, as we tend to eat out at least once (so I don’t have to cook), and gluten features on most menus. So today’s challenge is to plan a month’s worth of meals, this will include the lunch boxes for the children. There are various menu planners on the web. I like this one from Organizing Home Life or head over to Intentional By Grace, where Leigh Anne has found over 150+ printables, including a variety for menu planning. I have created my own monthly planner, which is a bit bigger than I planned it to be. I haven’t yet mastered how to attach printables, but should you want a copy of my planner (which I show you this evening) please leave me a comment and I will get in touch. 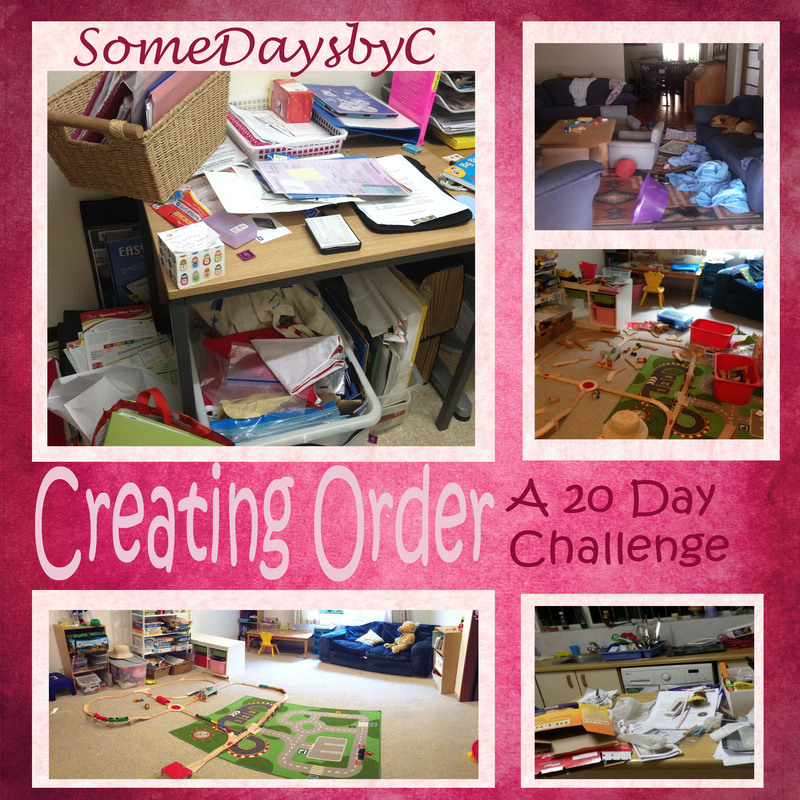 This entry was posted in Creating Order- a 20 day challenge, Good days, Growing as a person, Series and Challenges, Somedays and tagged depression, getting organised, gluten free, menu planning, routines. Bookmark the permalink.